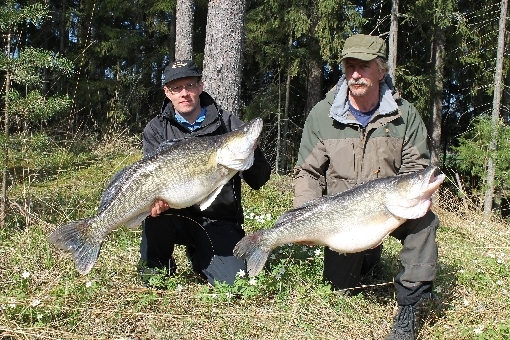 The monster zander that Mr. Toni Ikävalko and Mr. Eero Mattila caught by trolling in last May is now officially the new Finnish Record. Record fish board approved new zander record in its last meeting. The giant was caught from a lake in Southern Häme in Southern Finland by trolling a wobbler. Old record, 13.74 kg zander, was caught from Lake Vesijärvi in 2009. Federation of Finnish Fisheries Association and Finnish Federation for Recreational Fishing maintain the record fish registry. At the moment there are 76 fish species on the registry list. In addition to new zander record, 8 new fish and crayfish species got record status during the last year. One of them is blue bream (Abramis ballerus). New record of blue bream is 1.124 kg.